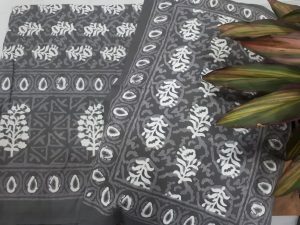 Cotton Block Print Wholesale and tailoring service for all ladies dresses. 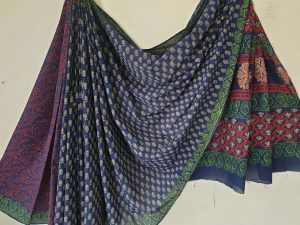 We do tailoring for ladies dresses in affordable price. 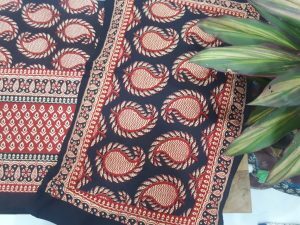 You can send any dress picture and your measurement, we’ll stitch replica for you. 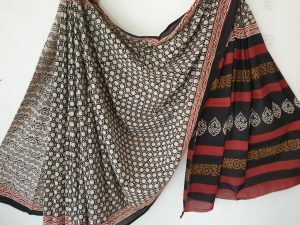 Online measurement facility for dresstailoring. 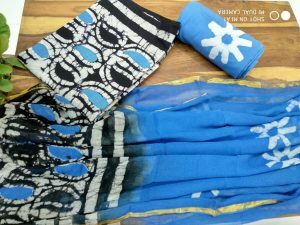 Same price for design variation in bulk orders. 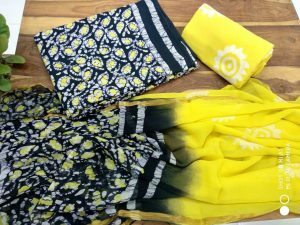 Know more about Kiran's Boutique? 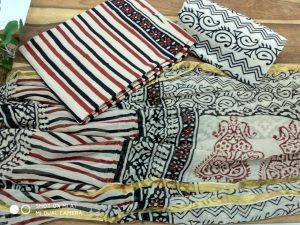 I am Kiran Choudhary Ladies fashion designer and Owner at Kiran’s Boutique Jaipur Rajasthan, We deliver all India whether you are from Kerala, tamilnadu, Maharashtra, Punjab, andhra pradesh, telangana, haryana, delhi or anywhere from India. 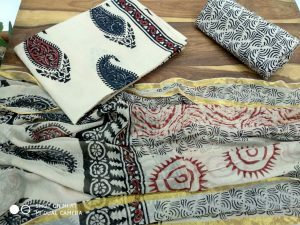 Here you can shop online for hand block print ladies suits and sarees in wholesale price and also provide online custom tailoring service. 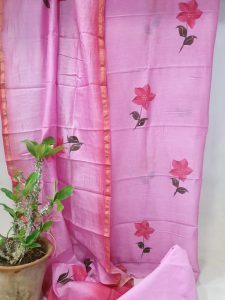 We also accept bulk printing orders for dress material and sarees. 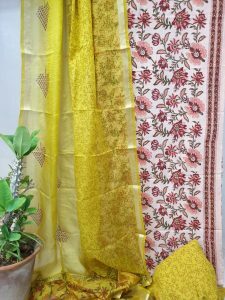 We have wide variety of un-stitched designer kurtis, bagru Hand block print cotton suits fabric, chanderi suits, kota doria dress material, punjabi salwar kameez for formal, casual and party wear with chiffon dupatta. 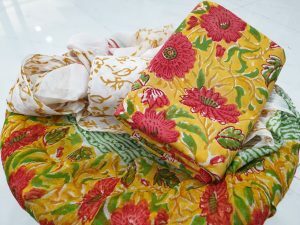 You can buy latest cotton dress materials from my online clothing store and my boutique on Kalwar road Jaipur Rajasthan. 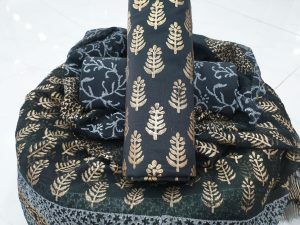 We have ready to ship wide variety of printed unstitched chiffon dupatta cotton suits, cotton dupatta salwar kameez, party wear chanderi silk suits / sarees, kota doria chudidar and sarees, kantha work suits, Pompom and zari border suits / sarees, casual wear Cotton mulmul sarees with blouse, running cotton dress material, Bedsheets, Stoles, banarsi jecquard and chanderi dupattas. 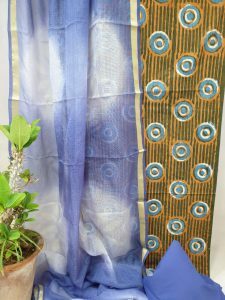 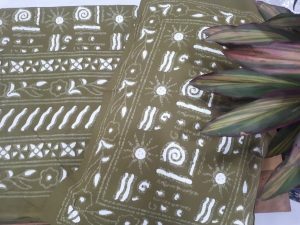 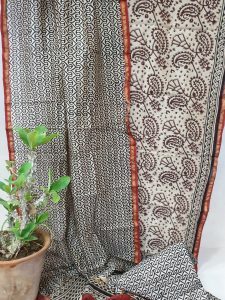 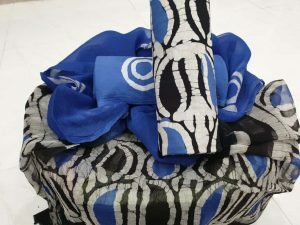 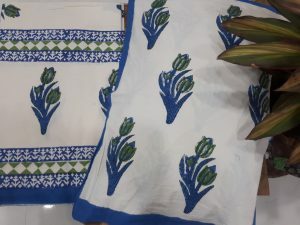 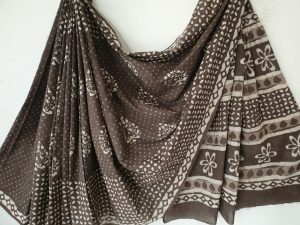 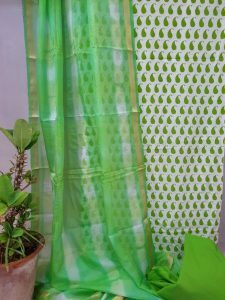 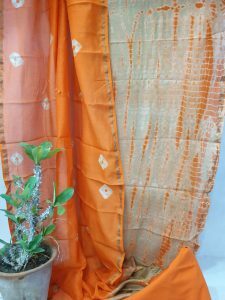 We have amazing designs in rajasthani hand block print, sangneri screen print, shibori tie and dye fabric, bagru print, Batik print, dabu print, kamalkari designs, mugal print, pigment and rapid prints and many more. 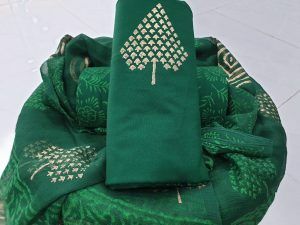 If you are looking for online tailor to sew your Patiala salwar suits, anarkali suits, blouse, kurti, indo western dresses, maxi, nighty, plazzo, gown, lehanga etc then you can contact us, we have very easy options for online measurement, on time delivery and high quality stitching facility for ladies dresses in very affordable prices. 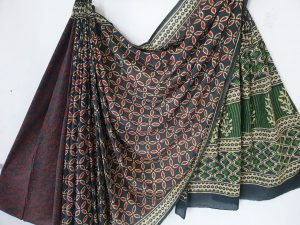 Resellers can request us to add yourself in whatsapp broadcast list if you want to see latest ladies clothes every week with price and can order online, On most of the items shipping charges are free. 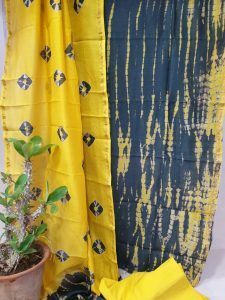 To get more discount on your shopping or to get bulk order discount you can contact us directly on whatsapp. 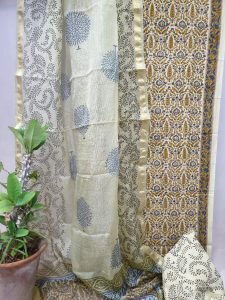 Check, what people say about my designer boutique in Jaipur on popular business networks.